Industrial and colonial rivalry contributed to the outbreak of the First World War, to which the Second World War can be seen as a sequel. 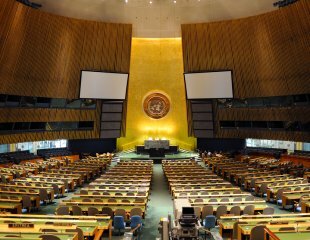 The Second World War was terrible enough to make world leaders resolve to end the institution of war once and for all, and the United Nations was set up for this purpose. Article 2 of the UN Charter requires that “All members shall refrain in their international relations from the threat or use of force against the territorial integrity or political independence of any state." Chapters 3 and 4 discuss the events leading up to World Wars I and II, and to today's arms race. Chapter 9 discusses the growth of international law and proposals for UN Charter reform. 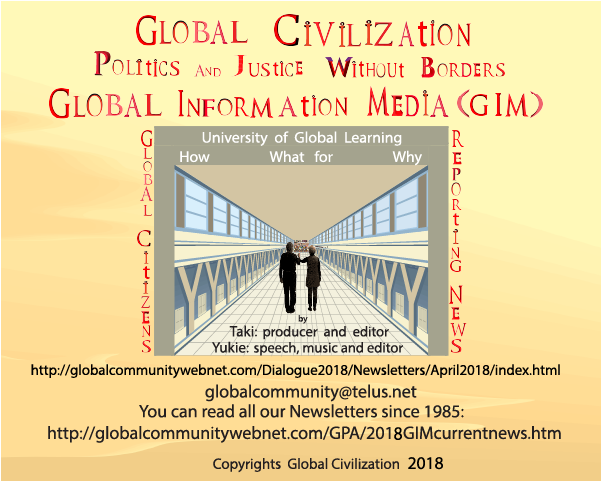 Vladimir Putin’s March 1st, 2018 address to Russia’s Federal Assembly was not about Russia’s upcoming presidential elections, as many in the election-obsessed West suggest. Putin’s speech was about coercing America’s elites into, if not peace, at least into some form of sanity, given that they are currently completely detached from the geopolitical, military and economic realities of a newly emerging world. As it was the case with Georgia in 2008, the coercion was based on military power. The Pre-Shoigu Russian Army, for all its real and perceived shortcomings, disposed of the US-trained and partially equipped Georgian force in a matter of five days—the Russian Army’s technology, personnel and operational art was simply better. Obviously such a scenario is not possible between Russia and the United States; that is unless the American myth of technological superiority is blown out of the water. For a taste of the evidence in this regard focusing on the climate, see ‘Climate Collapse and Near Term Human Extinction’,‘What They Won’t Tell You About Climate Catastrophe’,‘Release of Arctic Methane “May Be Apocalyptic,” Study Warns’and ‘7,000 underground [methane] gas bubbles poised to “explode” in Arctic’. 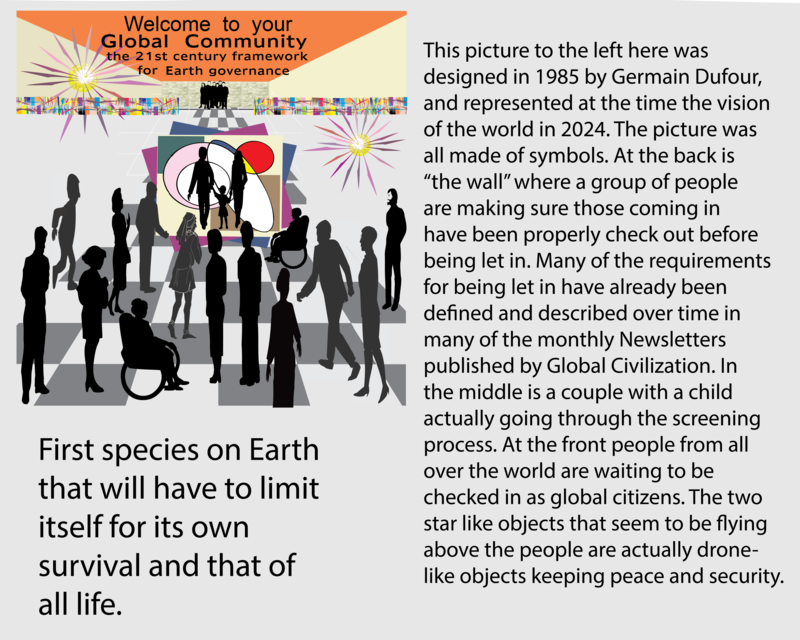 Unfortunately, of course, the climate is not the only imminent threat to human survival. With an insane leadership in the White House in the United States – see ‘Resisting Donald Trump’s Violence Strategically’ – we are faced with the prospect of nuclear war. And even if the climate and nuclear threats to our survival are removed, there is still a substantial range of environmental threats – including rainforest destruction, the ongoing dumping of Fukushima radiation into the Pacific Ocean, extensive contamination from military violence… – that need to be addressed too, given the synergistic impacts of these multiple and interrelated threats. People do not choose to live in delusion nor do they choose their delusion consciously. A delusion is generated bya person’s unconscious mind; that is, the part of their own mind of which the individual is normally unaware. So why does a person’s unconscious mind generate a delusion? What is the purpose of it? This unconscious delusional state is the fundamental outcome of the socialization, which I call ‘terrorization’, of the typical childduring their childhood. As a result, these feelings are suppressed below conscious awareness and thisfear, self-hatred and powerlessnessbecome the primary but unconscious psychological drivers of their behaviour and, significantly, results in them participating mindlessly in the widespread ‘socially acceptable’ delusions generated by elites and endlessly promulgated through elite channels such as education systems, the corporate media and entertainment industries. If you want intelligent,compassionate and powerful children who do not grow up living in delusion and denial, consider making ‘My Promise to Children’. Stephen Hawking (1942-2018), British genius, the leading most scientist in all the spheres in contemporary time with focus on astrophysics has left the planet earth. A man with severe body debility, he contracted ALS, a form of motor neurone disease when he was about 21 years young person, continued with nerves of steel and became the epitome of strongest will power and the most relevant guide to people of the globe. He pioneered the science of space with new insights as proposed colonization of earth by the natural resource starved aliens; who in his opinion will move to this planet earth to survive as their resource deplete. He provided human beings new knowledge which was real and in his own words there is always danger of illusion of knowledge, not of the ignorance. This illusion of knowledge is main driver of human existence about which he warned all of us. The man has established IPCC and has concluded Paris agreement on climate change, but the reality is that nothing substantial has been done in the field of climate change to contain its adverse impacts. Climate change is the most potent negative force which is making this earth almost extinct,and the living ones with no hope for solution are worried. Stephen Hawking is the greatest scientist of this age who warned about the impact of climate change. He clearly surmised with his research acumen that a day will arrive when planet earth will become like planet Venus which once used to be like planet earth but climate changes made the Venus uninhabitable. He concluded that emission of Green House Gases were major factor to destroy the habitable conditions in sister planet Venus and today it is a planet with high temperature and High wind velocity where no life is possible, albeit it might have existed somewhere in past. He warned that earth is to experience the same fate. He wrote A Brief History of Time to un reveal the truths about time and inferred at one point that universe was governed by the fixed natural laws and none can violate it, not even the supreme power. Truth is that men are in constant process of destroying the resource of the planet. It cannot be understood in any way as why human beings are so blind to the dangers which are about to come in the form extreme weather phenomenon? This is just loss of understanding about the universe, the natural laws, the climate and the real destiny of humanity. Stephen Hawking warned about all these things. He was fierce critic of US policies on climate change. He criticized the US decision to leave the Paris Agreement which had brought a ray of hope that in near future the earth’s temperature could be reduced to 1.50 to 20 C. but US decision was serious blow to this effort. US being the biggest pollution creator laid the burden on developing countries and pushed the earth in the zone of extreme weather conditions and associated problems. Hawkins analyzed it in holistic manner and called US President’s decision as the most serious and wrong decision which this world had seen. He is prophetic scientist who has predicted that the way climate change has come to play a decisive negative role in the lives of the people; it will become almost impossible in next 2 or 3 centuries to live on this planet. 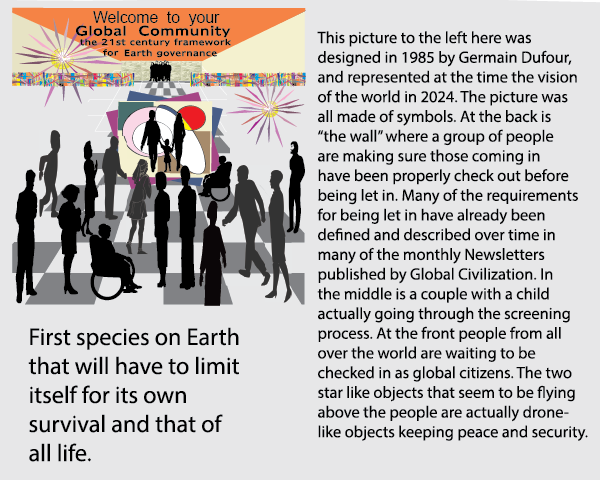 Human population will have to find other options to survive; as to move to some other planets where such extreme conditions do not exist. 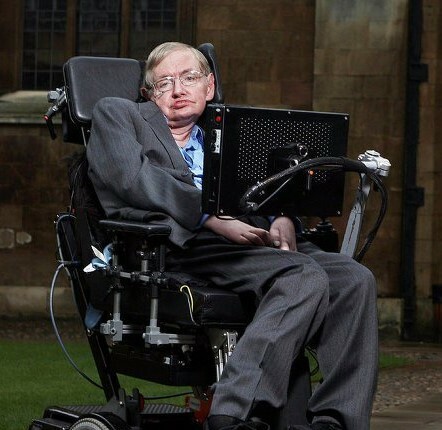 Stephen Hawking ‘s death is therefore a grave loss as a person who talked without fear, with strong will power and was prophetic in sayings is not anymore amidst us but his knowledge and warnings are here to stay. The time is to reflect back on his ideas on climate change and its impact on the human society and planet earth. The time is to reflect on several other concepts and theories which he gave. His sayings are important as no other individual in any other field has talked about climate change with so much analytical and scientific approach and who is also a prophetic scientist as he predicts the future. His research outputs are relevant to the present and coming generations though human society is unaware about the dangers which loom large, about which he warned the leaders and decision makers. The best tribute for him is only to propagate his scientific ideas to those who are unaware about these oracles. Among these the most important is to disseminate his scientific thoughts about the climate change. Passing away of Stephen Hawking brings lots of responsibilities over all the inhabitants of this planet. His voices are gold and guidelines are with divine truths. These should be brought into main agenda of discussions and world leader need to follow his sayings, common person should also be aware about his ideas and live accordingly. The current warming of Earth (Figure 1),manifest in the rise in extreme weather events (Figures 2 and 3), including collapse of polar ice sheets, melting of the Arctic Sea ice, penetration of snow storms into mid-latitudes, permafrost thaw and methane release, hurricanes and wildfires(Figure 4), manifestsa shift in state of the atmosphere-oceansystem, constituting an existential threat to humanity and much of nature. As extreme temperatures, the rate of sea ice melting, the collapse of Greenland glaciers, the thawing of Siberian and Canadian permafrost and increased evaporation in the Arctic drive cold snow storms into Europe and North America, and as hurricanes, cyclones, heat waves and wild fires (Figure 4) affect tropical and semitropical parts of the globe, it is becoming clear Earth is entering a shift in state of the atmosphere-ocean system associated with destructive climate tipping points including hurricanes such as in the Caribbean, SE USA and the SW Pacific (Figure 5). With hundreds of Gigaton carbon stored in Arctic permafrost, itsthawing and methane release by analogy with geological methane-release and mass extinction events is becoming more likely(Figure 6). It is reported that climate change will lead to the death of some 500,000 people a year due to food supplies by 2050and hundreds of thousands of people due to extreme weather events. A rise of atmospheric CO2level to 408.35 ppm (February, 2018) at a rate of about 2 ppm/year and in previous years 3 ppm/year, rates unprecedented in the geological record since 56 million years ago , tracking across thestability threshold of the Antarctic ice sheet estimated variously at 450±50 ppm CO2 . The rise in greenhouse gas levels in the atmosphere and oceans is leading to an increase inextreme weather events relative to 1950-1960 (Figure 2) , including tropical storms, such as those in the Caribbean islands and SE USA (Figure 5), Tonga, Fiji,Vanuatu and the Philippines, with lives lost and damages estimated in the $billions . InAustralia the frequency of extreme weather events has been rising, where since 2001, the numberof extreme heat records has outnumbered extreme cool records by almost 3 to 1 for daytimemaximum temperatures, and almost 5 to 1 and more for night-time minimum temperatures . Impacts on a similar scale are taking place in the ocean, where the CO2 rise is causing an increasein acidity from pH 8.2 to 8.1, predicted to decrease further to 7.8 by 2100, affecting coralreefs and the marine food chain . Ice sheets melt rates and sea level rise have been increasing  and the rate of sea level rise hasbeen accelerating, from ~1.7 mm/year over the last century to ~3.2 mm/year between 1993 and2010  and to 3.9 mm/year  (Figure 7A), threatening low-lying islands, delta and lower river valleys,where billions of people live, compounded by changes to river flow regimes (Figure 7B). The current rates of greenhouse gas level rise and temperature rise exceed those observed in the geological record (Figures 8 and 9). Global warming, amplified by feedbacks from polar ice melt, methane release frompermafrost, and extensive fires, may become irreversible, including a possible collapse of the AtlanticMeridional Overturning Circulation  (Figure 10). According to Professor James Hansen, NASA’s former chiefclimate scientist “Burning all fossil fuels would create a different planet than the one that humanityknows. “ According to Professor Joachim Schellnhuber, Germany’s chief climate scientist “We’resimply talking about the very life support system of this planet” . While the Paris Accord remains non-binding, governments world-wide are presiding over a large-scale demise of the planetaryecosystems, which threatens to leave large parts of the Earth uninhabitable [15, 16]. Tackling the root causes of an unfolding climate tragedy requires a wide range of methods, the main ones being (1) sharp reduction in carbon emissions, and (2) effort at draw-down of atmospheric CO2, using methods such as sea weed plantations, soil biochar, soil re-silicification (applying basaltic rock dust), air-streaming through basalt and serpentine, sodium hydroxide pipe systems and so on. Time is running out: There is no Planet B. There is a serious threat lurking in the Arctic that has largely escaped attention from the public and the media. Once possible only in the dreams of intrepid sea captains, ships just started traveling through the icy Arctic even in the depths of winter. New shipping routes and increasing ship traffic due to ice melt bring greater environmental hazards. One of the most critical risks facing the Arctic, aside from climate change, is the use of heavy fuel oil (HFO). Here are seven reasons why heavy fuel oil should be one of today's most talked about environmental concerns. 1. It’s basically heated tar. Heavy fuel oil, also known as residual fuel or bunker oil, is the tar-like sludge that is left over from the crude oil refining process. It’s essentially the bottom of the barrel. It’s so viscous it has to be heated to allow it to flow before it can be used by ships. The only denser oils are those used in asphalt and roof sealing. 2. It’s the fuel of choice for ships in the Arctic. The International Maritime Organization, an agency of the United Nations, has already banned HFO in Antarctic waters, yet it is still the most commonly used fuel in the Arctic. More than 1,300 ships sail through the Arctic every year, and 75% of the total mass of fuel on board is HFO. 3. It covers the land in soot. Ships using HFO emit sulfur, nitrogen oxides and black carbon. Also known as soot, black carbon is deposited by passing ships onto ice and snow, causing the affected area to absorb more radiation from the sun instead of reflecting it away. This leads to more warming and more melting, creating a vicious cycle. Black carbon emissions are expected to increase, possibly as much as 46%, as Arctic shipping traffic continues to increase every year. Passing ships deposit dust and black carbon on the ice around this climate station. 4. It can cause asthma, lung cancer and birth defects. Black carbon is also a major threat to human health. Its fine particles are small enough to be inhaled into our lungs and cause respiratory disease, cardiovascular disease, cancer, and birth defects. This puts four million people from eight Arctic nations at risk of severe medical conditions. 5. It’s virtually impossible to clean up after a spill. Heavy fuel oil is cheaper than other crude oil, but is several times more expensive to clean up after a spill. The chilly Arctic waters prevent this oil from dispersing or degrading naturally, and it tends to sink rather than float on the surface. During warmer months, sunken HFO can rise back to the surface and pollute shores that were already considered to be clean. 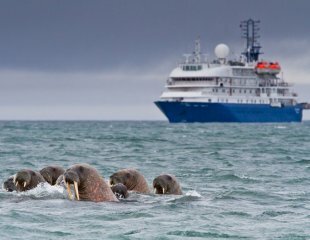 A heavy fuel oil spill would devastate Arctic wildlife like whales, seals, walrus and seabirds. 6. It could destroy Arctic ecosystems. Heavy fuel oil is toxic to fish; seabirds and marine mammals that are covered by the oil are at risk of hypothermia or death. This isn’t speculation: In 2003, a tanker ship collided with another vessel in Russia’s White Sea, spilling 54 tons of HFO into prime beluga whale calving habitat. Only 16 percent of the oil was ever recovered, and the area is still 22 times the permissible contamination level set by the Russian government. Multiple beluga carcasses were found in the area, and the whales have been forced to seek other areas in which to give birth. A dead sea otter covered in oil from a grounded ship near Dutch Harbor, Alaska. 7. It could devastate Arctic communities. A spill would be disastrous for hundreds of indigenous communities that depend on ocean life for subsistence, as well as commercial fisheries that in many areas serve as economic foundations. In 2004, a cargo vessel lost power and ran aground outside of Dutch Harbor in the Aleutian Islands of Alaska, spilling 338,000 gallons of fuel. This forced a portion of the tanner crab season to be canceled. Fishermen operating out of the harbor lost an estimated $500,000 in revenue. We are putting pressure on the U.N.’s International Maritime Organization and country delegations to get HFO out of the Arctic. After moving HFO to the top of the Arctic policy agenda in 2017, we are working to make sure that we start transitioning ships in the Arctic from dirty fossil fuels to clean energy. 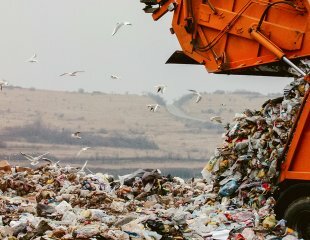 We Are Drowning in Plastic, and Fracking Companies Are Profiting. Communities around the globe are feeling the effects of climate change, from scorching heat waves and out-of-control wildfires to lengthy droughts, rising sea levels and hurricanes. But while we all share the same warming planet, the effects of climate change aren't experienced evenly across societies. Climate change poses a disproportionate threat to communities that already face multiple challenges, including economic disinvestment, higher rates of violence and exposure to other environmental hazards. When individuals experience severe weather events, violence, displacement and other crises that prevent them from being able to meet their basic needs, they experience trauma, which can have significant and lasting impacts on health and wellbeing. Entire communities can experience trauma in much the same way. Exposure to adverse community experiences—such as violence, systemic racism, serial displacement and climate catastrophes—can result in high levels of trauma across the population and a breakdown of the very social networks that, under other circumstances, help communities survive and recover from traumatic experiences. Community trauma and climate change converge in communities across the United States. On Washington State's Olympic Peninsula, the Hoh Indian Tribe has lost nearly one-third of their land due to rising sea levels. However, since the reservation is located in a federally designated, 100-year flood and tsunami risk zone, the tribe isn't eligible for federal assistance that would help the tribe relocate their homes and community to safer ground. In New Orleans, post-Hurricane Katrina, public housing complexes that suffered minimal structural damage were closed and demolished, drastically reducing the supply of affordable housing in the city. These examples illustrate the need to protect communities in the first place, rather than simply responding to disasters after the fact. Isle de Jean Charles, Louisiana: A narrow island that sits deep in the marshlands of southern Louisiana, the Isle de Jean Charles is home to the Biloxi-Chitimacha-Choctaw Native American tribe. This island is the epicenter of cultural traditions and social connection for its residents. Once a place of tremendous physical beauty, biodiversity and cultural importance, these tribal lands are now vanishing due to coastal erosion, lack of soil renewal, marshland damage by oil and gas companies and rising sea levels. In the midst of this adversity, the Isle de Jean Charles Band of Biloxi-Chitimacha-Choctaw took collective action to address the trauma of their disappearing homeland, and applied for and received federal funding to relocate further inland. Residents are working alongside the State of Louisiana Office of Community Development-Disaster Recovery Unit to design and develop a culturally appropriate site where they will be able to renew and preserve their cultural traditions and connections, be protected from future environmental hazards, and thrive. 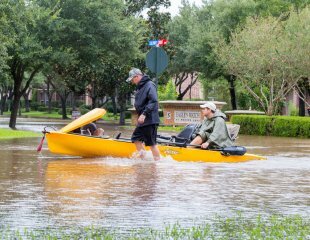 Houston, Texas: When Hurricane Harvey made landfall along Texas’ Gulf Coast in August 2017, the storm delivered record rainfall and left behind widespread catastrophic damage. In addition to the damage to homes and businesses, the storm displaced individuals, families and communities throughout the region, contributing to trauma at an individual and community level. Recognizing the widespread trauma in the hurricane’s wake, as well as high levels of community trauma in regions of the state that face other adverse community experiences, Mental Health America of Greater Houston, Prevention Institute and the City of Houston Health Department are mobilizing support for a trauma-informed community rebuilding policy in the Texas legislature. This policy would ask the state to identify, in partnership with community-based partners, the best ways to address and prevent trauma at a community level and provide support for communities across Texas, particularly those that live on the frontlines of climate change. Too often, we wait to act until after disaster strikes. That leaves us with fewer options—we're left picking up the pieces, rather than anticipating, mitigating and preventing traumatic experiences. While repair, reconstruction and even relocation are essential elements of disaster response to ensure the immediate safety of community members, we need to identify ways to build community resilience before the storm. Efforts that focus on preventing climate change, addressing the impacts of climate change, and supporting resilient communities are essential to reducing the unequal burden climate change places on vulnerable communities and ensuring that these communities are better equipped to handle other challenges before they have a chance to occur. As more and more climate-ravaged communities are forced to relocate by droughts, floods and superstorms, the business of fortifying borders is booming. In his new book, Storming the Wall: Climate Change, Migration, and Homeland Security, Todd Miller travels around the world reporting on the corporate border militarization cash grab, and the emerging movements for environmental justice and sustainability. The hi-tech militarized barriers between developed and undeveloped nations are increasing. Built to keep out refugees driven by economic and political need, these borders are now faced by those fleeing the ravages of climate change, author Todd Miller tells Truthout in this exclusive interview. Mark Karlin: What is the relationship between the developed nation-state and migration due to climate change? 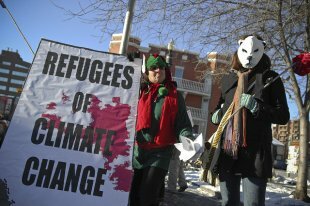 Todd Miller: There is no climate refugee status. So, in the eyes of the nation-state, a person migrating because of climate reasons is meaningless. For example, when I met three men in Tenosique, Mexico (near the Guatemala divide), they told me that they were headed north because "there was no rain." In the eyes of immigration officials -- whether they be in Mexico or the United States -- this would not matter. It would not matter that a mayor of a small town in Honduras called this very Central American drought "an unprecedented calamity." It would not matter that a million drought-inflicted people throughout the Central American "dry corridor" -- spreading from Guatemala to Nicaragua -- were on the verge of starvation. A "famine," as former US Border Patrol Chief David Aguilar described the situation in Guatemala, would not matter. Immigration agents would check your papers, and if you were not authorized to be in the country, you would be arrested, detained and expelled. It wouldn't matter if you were displaced by a hurricane. It wouldn't matter if your coffee crop was destroyed by climate-induced fungus. To the immigration agents, it would not matter if the rising seas had washed through your house, nor if raging floods had coursed down the streets of your neighborhood. The mudslides would not matter. The heat waves would not matter. All that would matter would be the nation-state, its sovereignty and its "right" to control its territorial boundaries. As a 2003 Pentagon-commissioned report called "An Abrupt Climate Change Scenario and Its Implications for the United States National Security" put it, "[US] Borders will be strengthened around the country to hold back unwanted starving immigrants from the Caribbean islands (an especially severe problem), Mexico, and South America." In 2010, the US government declared climate change a top national security threat. And through a number of policy documents, including the 2014 Quadrennial [Defense] Review, the US Department of Homeland Security [DHS] recognized climate change as a central threat and a "threat multiplier." In other words, DHS fully understands that there will be displacement caused by climate change and knows that it has to prepare US borders for just that. As Thomas Smith, one of the authors of the DHS Quadrennial Review put it at a congressional hearing in Washington, DC, predicting the fate of the three men in the Tenosique train yard, "More frequent severe droughts and tropical storms, especially in Mexico, Central America, and the Caribbean could increase population movements, both legal and illegal, towards the US border." And what awaits a climate refugee attempting to enter the United States (and for that matter, many other parts of the world) is exactly what DHS has been doing since its founding in 2003: a world of walls and cages, imprisonment and expulsion. MK: How much is climate change causing increased environmental migration? TM: In many (and in a variety of) ways, climate change could cause or influence migration. It could be the drought I just discussed, since climate science predicts such dry spells to be longer and more frequent. It could be a Category 6 super hurricane like the 2013 Haiyan that eviscerated everything in its path after making landfall in the Philippines as the most powerful storm ever recorded in human history (now in second place, behind the 2015 Hurricane Patricia). The warmer ocean waters are fueling these high-powered typhoons, like Harvey, Irma and Maria that are also leaving huge marks of destruction in the United States and the Caribbean. As ice continues to melt in the Arctic, it could be the sea level rising and threatening to devour entire islands in the Pacific. It could be the surging floods that come with the super storms. It could be the salt water from such surges inundating fresh water supplies, and making irrigation of crops impossible. All of this could be behind a person choosing to move from where they are to someplace else. Statistics from the Internal Displacement Monitoring Center from 2008 and 2015 show that there [is] an average of 21.5 million people displaced per year due to climate change (26 million if you include environment generally). That number is larger than those uprooted by war. One person is displaced every second due to environmental reasons. This could mean that the person has simply moved inland, moved to a city or crossed an international border. In 2016, the United Nations reported that there were 64 million "persons of concern" across the world, a number that has tripled since 2005. That is not only a record number of refugees, it also strikingly correlates with areas of climate turmoil as vividly shown in a mapping project by journalist Jessica Benko. Future predictions for people on the move due to climate displacement range from 250 million to 1 billion by 2050. Koko Warner, a lead researcher for the United Nations University (and author of some of the first studies empirically connecting climate change to migration), says what's to come with migration, although the precise numbers are in dispute, will be "staggering" and "pass any historic antecedent." MK: In what ways are borders becoming militarized against international migration? TM: The hardened, militarized border is a recent phenomenon. The very idea of walls of exclusion was even (in a way) condemned by US President Ronald Reagan, who famously said, "Mr. Gorbachev, tear down this wall!" When the Berlin wall fell in 1989, there were 15 border walls in the world. Now there are 70 -- two-thirds constructed after 9/11. Never has the globe had so many militarized borders. Since the early 1990s, the US border has had historic fortification and weaponization. US Border Patrol agents have gone from 4,000 to 21,000. The international boundary line has gone from flimsy chain-link fences to 650 miles of towering walls and barriers along the 2,000-mile US-Mexico border. And now it is high tech. There are night vision cameras, thermal energy cameras, cameras that can see seven miles away. There are radar systems. There are drones. There are armored vehicles. There are command and control centers. There are Forward Operating Bases and tethered aerostats. There are prisons incarcerating 34,000 or more at a time, and an apparatus that has the ability to expel 400,000 people per year from the United States. There is a theatre of a never-ending war, only poised to grow more and more. And it is into this border war zone, and other similar ones across the world, where the climate displaced are arriving. In the United States, budgets for border and immigration enforcement have skyrocketed. They have gone from approximately $1.5 billion per year in the early 1990s (the Immigration and Naturalization Service budget) to $20 billion annual today (if you combine just Customs and Border Protection and Immigration and Customs Enforcement). On top of budgets like this in the United States, increasing border/immigration budgets in Europe, Israel and Australia (and many other countries across the globe), a massive homeland security/border/surveillance industry has emerged. Companies galore are cashing in on contracts, such as the Israeli monolith Elbit Systems that is in process of constructing 52 surveillance towers in southern Arizona. Elbit Systems, one of the primary technology integrators for the West Bank wall and surveillance apparatus, sold itself as having 10-plus years "securing" one of the "world's most challenging borders." Projections and forecasts into the future show constant if not unprecedented growth for this type of industry. One forecast shows the homeland security market almost doubling in 10 years to reach $546 billion by 2022. Newer projections now include "climate-related natural disasters," events that, according to prognosticators, are increasing at an impressive rate. Such private/public relationships are not only helping weaponize the world's borders against the displaced and uprooted, they are bringing to this boundary-building one of the strongest and sacrosanct motives of a capitalist system: profit. MK: As far as capitalism, can you comment on the tragic irony of goods havingfreepassage between nation-states and not people? TM: The end of the 20th century and 21st century will not only be known for closed, militarized borders between nation-states levied against the world's poor and marginalized. It will also be known as an era that has completely opened borders for the ruling and business classes of the world. 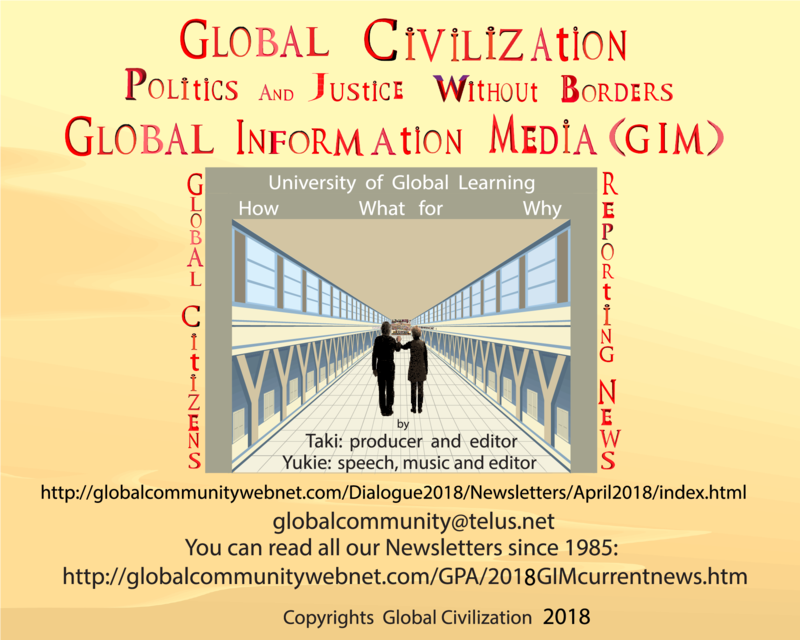 While nation-states blockade people, and force unauthorized border crossings into deadly deserts and seas, at the same time, not only merchandise but entire corporate enterprises, such as mines, can freely cross borders with hardly an impediment. They have set up shop across Mexico, and in Central and Latin America in general. Such constant border crossings receive very little attention, although time and time again, operations have caused tremendous environmental damage in communities, including seizing and poisoning water sources. Companies freely cross borders in search of natural resources and fossil fuels. One [Anglo-]French company called Perenco has been operating oil wells in the Laguna del Tigre National Park in Guatemala since 2001, while park boundaries simultaneously have been militarized to thwart displaced campesinos to "protect" the park for conservation reasons. Not only does cheap and heavily subsidized US corn flood and underprice the Mexican and Central American farmers -- the cradle for the cultivation of corn in the world -- and not only does cheap merchandise from factories get a free pass to cross borders, but so do the multinational corporations perpetuating the fossil fuel economy. They are not blockaded despite the criminal damage they are causing to the Earth's future generations. MK: How does economic inequality and injustice play into the growing forced migration caused by global warming? TM: Completely and thoroughly. For example, one of the root causes of migration from Mexico to the United States has been because of the impacts of the North American Free Trade Agreement. Mexico's story of devastated small farmers and factories paying pathetic, unlivable wages while wealth concentrates in a transnational corporate class, of course, can be found across the world. Also, the kind of migration, from the rural to the big cities, sometimes across international borders, has been a global story regardless of the now clear and fierce impacts of climate change. Sociologist Christian Parenti describes what we have now as the "catastrophic convergence." Whether it be the small farmer attempting to etch out a living in the scrambling seasons and inconsistent rainfall, or the migrant worker who has moved to one of the world's megacities about to be inundated [by] the rising seas -- the economically poor will be the first people hit with the storms and droughts of climate change. According to Parenti, these economic, political and ecological factors are not separate. They compound each other and can create potentially untenable situations across vast swaths of the Earth. People in the world's 48 most marginalized countries are five times more likely to die because [of] a climate catastrophe than the rest of the world. Geographer Ruthie Wilson Gilmore defines racism as "the state-sanctioned or extralegal production and exploitation of group-differentiated vulnerability to premature death." In this, the true "battle" around the climate is revealed going forward. The world's real borders are not only between nation-states, but rather between the rich and powerful and the rest of the world, along racial and class lines. The disproportionately white countries of the Global North, such as the United States and European Union, are the places that spend lavishly to militarize their borders, creating intense vulnerability for those making border crossings into these territories. And thus, boisterous and powerful movements around immigration, racial, Native American and economic justice are just as important to confronting climate as environmental movements. The climate crisis has to be countered with this sort of totality. The good news is that all together, the world's vast social movements carry a people power that is much larger and stronger than the ruling classes. This bleak projection of climate change, displacement and militarized borders can be altered, but the need for the push is urgent. MK: How does border military mobilization negatively impact climate change itself? TM: I can think of three ways right off the bat about how border militarization mobilization negatively impacts climate change. First, if people on the move will be a part of what will happen in this era of climate destabilization, hardened, militarized borders are hardly an answer. In fact, such borders already are creators of humanitarian crises, and if unchanged, will continue to do so in an even more intensified fashion -- whether by forcing people to risk their lives in Arizona deserts or on rickety boats in the Mediterranean Sea (to name but two examples that impact humankind's wellbeing). Second, to mobilize vast fleets of vehicles and aircraft of the global border apparatus carries with it an enormous carbon footprint. Even with efforts to green operations and reduce emissions, US security forces (military and DHS) continue to be a top polluter and energy-consumer in the world. One example, to give a glimpse into this, as written by Lisa Savage in Counterpunch, in 2013 the Pentagon consumed 90,000,000 barrels of crude oil (according to its own study), 80 percent of the total fuel usage of the US federal government. Lastly, such border militarization reinforces the notion that the climate crisis will be solved by individual nation-states, despite huge power differences and interests between them. As put by geographer Reece Jones in his book Violent Borders, "As long as the economic interests of individual states do not coincide with the larger environmental needs of the world, a meaningful agreement on climate change will not be reached." Mark Karlin is the editor of BuzzFlash at Truthout. He served as editor and publisher of BuzzFlash for 10 years before joining Truthout in 2010. BuzzFlash has won four Project Censored Awards. Karlin writes a commentary five days a week for BuzzFlash, as well as articles for Truthout. He also interviews authors and filmmakers whose works are featured in Truthout's Progressive Picks of the Week. The Western Notion of Development Is Destroying the Planet: So What Are the Alternatives? As inequality and environmental degradation worsen, the search is on not only for alternative development models but also for alternatives to development itself. Leading post-development theorist Arturo Escobar, co-editor of The Post-Development Dictionaryand author of Design for the Pluriverse, discusses the fight for pluralism and justice in Latin America with Allen White, senior fellow at the Tellus Institute. Allen White: Tell us about your personal journey. What inspired you to become a critic of mainstream development theory and a pioneer of a new paradigm? Arturo Escobar: I grew up in Cali, Colombia, a city of a half million people, in the 1960s, in many ways a typical member of a generation seeking modernization and development, in the mainstream sense of the words. Both of my parents came from the countryside—my father from a very poor peasant family and my mother from a middle-class family in a small town. They migrated to Cali to improve their lives and secure opportunities for their children. We attended good elementary and high schools, which required substantial sacrifice on the part of my parents. Upon graduation, I attended Cali’s public university, Universidad del Valle (the only affordable option), where I majored in chemical engineering. As I was nearing completion of my undergraduate degree (1975), I realized two things. First, I didn’t want to work as a chemical engineer because that probably meant working for a large, multinational company. Second, I was becoming very interested in questions of food and hunger. Through acquaintances in Colombia, and with knowledge obtained through study of UN documents about the hunger crisis of the early 1970s, I was awarded a fellowship to begin a Master’s Degree in international nutrition and food science at Cornell University in the late 1970s. The program approached food as a scientific matter and malnutrition as a political matter, cultivating my interest in the political economy of hunger and malnutrition in Asia, Africa and Latin America. Upon completing my Master’s, I returned to Colombia to work for a year with the National Planning Department, then went to the University of California, Berkeley, for a PhD in Nutrition. At Berkeley, as everywhere else, discussions of nutrition and public health were framed within the conventional paradigm: the "third world" (still the prevailing category at the time) should pursue "development," as defined by the U.S. and other Western nations, to improve the health of their populations. AW: You have argued that the conventional understanding of development in the Global North—individualism, competition, industrialism, market primacy—is at odds with the core tenets of alternative models in the Global South. Explain this tension. AE: Beginning in my youth, I reacted adversely to the notion that Latin America (and what today we would have called the South) must follow the North’s development pathway, particularly that of the U.S. I became involved in the student movement as an undergraduate, a time when many young people were reading neo-Marxist Latin American dependency theory and searching for a Latin American identity through the work of authors such as Gabriel García Márquez. Writers from the North such as Herbert Marcuse and Jean-Paul Sartre, who were deeply critical of industrialized societies, were part of our education as well. This exposure laid the groundwork for my resistance to the prevailing definition of modernization along the lines of the U.S. experience. I found myself at odds with the notion that capitalist industrialization was the only alternative. Over time, I connected with many colleagues who shared my radical critique of the dominant, capitalist development model. This led to publication of The Development Dictionary in 1992 and now, 25 years later, the forthcoming Post-Development Dictionary. AW: What are the core attributes of the 'post-development' framework? AE: Two key elements define the concept of post-development. The first questions the central premises of development, including economic growth and material progress. Post-development challenges the idea that all countries must develop along Western capitalist lines according to these dictates. The second, which emerged in the mid-1990s, is that African, Asian and Latin American nations can and should put forward alternatives to development that incorporate non-Western concepts of what constitutes a thriving society. Those of us who subscribed to this view believed that other ways of theorizing—of liberating the imagination to enable other definitions of possible futures—were critical to changing the discourse in the Global South. These debates continue. Why? Because seven decades after World War II, certain fundamentals have not changed. Global inequality remains severe, both between and within nations. Environmental devastation and human dislocation, driven by political as well as ecological factors, continues to worsen. These are symptoms of the failure of development, indicators that the intellectual and political post-development project remains an urgent task. AW: Is there a danger in retaining the word 'development' in any form, even with the prefix 'post'? AE: Yes, the old term muddies the debate. We clarify by making a strong distinction between development alternatives on the one hand, and alternatives to development on the other. Over the course of the last few decades, "development" has undergone multiple modifications, such as sustainable development, participatory development, development with gender equity, integrated rural development, and so forth. All these approaches stay within the conventional understanding of development: they don't constitute a radical departure from the prevailing paradigm. About a year ago, I attended a meeting in Bogotá with the Minister of the Environment about the Pacific Coast, a rainforest region rich in biodiversity and populated largely by black and indigenous peoples. For 30 years, research and strategies to "develop" the area have centered on large-scale development interventions, such as the expansion of oil palm plantations, mining, and large port development. Against this backdrop, poverty, inequality and violence have deepened. To say the problem facing the region—and other parts of Latin America—is lack of development is fundamentally flawed. At that meeting, I argued that we should dare to reverse the picture: to entertain the idea that the problem of this region, is not underdevelopment, but in fact, excessive development. Recognizing this opens possibilities for new thinking based on alternative notions of human and ecological well-being. AW: One such alternative is Buen Vivir, which with its roots in indigenous cultures, has influenced social movements and politics in Latin America. What do you see as the essence of Buen Vivir? AE: Buen Vivir, in a literal sense, means good life or good living. It stresses living in ways that promote the collective well-being of both humans and nature. AW: Some fear that Latin America is at a critical crossroads and that recent gains in democracy and social stability are at risk. Could this be a moment for the advancement of such alternatives to development—or their suppression? AE: This is a very difficult question. The election of Hugo Chavez in Venezuela in 1998 marked the beginning of what has been called the "pink tide,” the emergence of the left-leaning governments of Rafael Correa in Ecuador, Evo Morales in Bolivia, Luiz Inácio Lula da Silva in Brazil, Michelle Bachelet in Chile, and Néstor and Cristina Fernández de Kirchner in Argentina, among others. It was a moment of hope. Finally, it seemed, Latin America would end its dependence on the US and global capitalism by redesigning its economies and societies. Indeed, for fifteen years, the region made significant progress toward economic justice and reduced inequality. AW: Is there tension between grassroots movements focused on local concerns and global movements engaged with issues such as climate change, nuclear proliferation, and human trafficking, or are they compatible? AE: In general, I see these issues as not only compatible, but inextricably linked to each other. Consider the case of the defense against incursion into indigenous territories, big dam construction, land grabbing, and the commodifiction of seeds and use of GMOs in agriculture. The link between local conditions and impacts, on the one hand, and global corporate and financial interests, on the other, is clear. 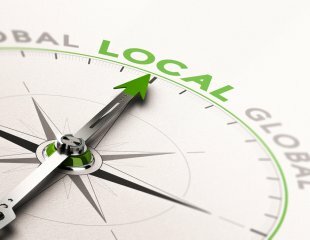 In this sense, the raison d'être of many local movements are found in the larger, global relations in which neoliberal, extractivist forces that transcend national borders affect local communities. This dynamic has given rise to La Via Campesina, a large coalition of peasant movements representing more than 200 million peasants throughout Latin America. La Via Campesina reflects a new way of thinking about scale advocated by geographers such as Doreen Massey, a view that emphasizes horizontal rather than vertical linkages through networks among diverse places, thus transcending geographical boundaries to connect via shared narratives and beliefs. AW: You have put forward a 'Pluriversal' framework—'a world where many worlds fit'—to foster common ground in oppositional movements. What does such a framework entail? AE: The Zapatistas years ago talked about a world in which many worlds fit, an antidote to the idea of a single civilized world built along hegemonic patriarchal Western capitalist lines. Such a Pluriverse is built on the concept of diversity within a whole Earth system, a multiplicity of worlds and peoples coexisting within the Planet. This is the first meaning of the Pluriverse. The Pluriverse also connotes life’s ceaselessness, always flowing, constantly changing owing to interdependence of all aspects of living systems. Akin to the works of Dutch painter M. C. Escher, the Pluriverse has no beginning or end but only constant ebbs and flows. This is the natural way. Human intervention that obstructs or destroys this self-organizing dynamic is the source of much suffering and instability. The concept of the Pluriverse pushes us to think in terms of many possible worlds as well as the circularity of life, a perpetual flow and “radical interdependency” of all living things. AW: As you know, the Great Transition seeks to foster a global citizens' movement. What strategies might encourage individuals, organizations and movements in the South to participate in such a movement? AE: Such participation is both plausible and necessary. Transition initiatives, in the sense of citizen action to create a new social paradigm, exist in both the Global North and the Global South. I have devoted considerable time to mapping such meta-movements and visions, which I refer to as Narratives of Transition. Some are well-known, such as those inspired by the work of Thomas Berry and Joanna Macy, who speak of transitions in the North such as the Great Work (towards a new Ecozoic Era) and the Great Turning (from the industrial growth society to a life-sustaining civilization). Another important transition narrative is the degrowth movement, and of course the GTI, and at a local scale, the Transition Town Initiative. In the South, we find analogs in the form of Buen Vivir, post-development, and civilizational transitions. Plans for connecting the conversations in the North and South are in process, including the First North-South Conference on Degrowth in Mexico City in September 2018. Further, we should clarify that when we speak of global citizens, we refer to people across the range of diverse identities. In fact, we must ponder how the term “citizen” might apply to all people on Earth. This interview was originally published by the Great Transition Initiative in February 2018. If One Appointee Gets His Way, UN Could Recognize Healthy Environment as Human Right. 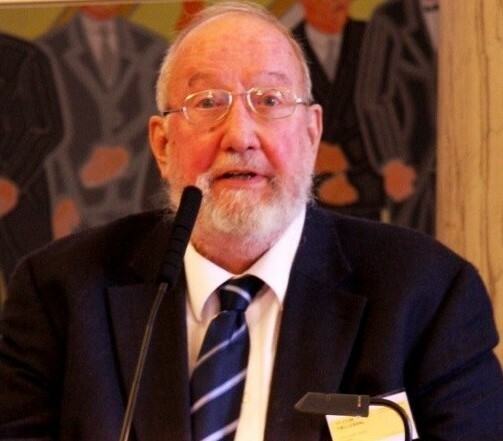 John H. Knox, the UN special rapporteur on human rights and the environment, delivered a statement March 5 to the Human Rights Commission in Geneva urging the UN to enshrine a healthy environment as a human right. Knox, who has spent the past five years researching the intersection between human rights and environmental concerns, now calls for a UN resolution formally connecting the two. "States should ensure a safe, clean, healthy and sustainable environment in order to respect, protect and fulfill human rights, and they should respect, protect and fulfill human rights in order to ensure a safe, clean, healthy and sustainable environment," Knox wrote in his statement. Knox further noted that 100 countries have already recognized a right to a healthy environment in their constitutions. The UN still has not. One of the reasons Knox wants a formal resolution is to pressure governments to defend activists who protect natural and community resources, and are subject to violence and intimidation in many parts of the world. According to a report by The Guardian and Global Witness, 197 nature defenders lost their lives in 2017 alone. "If we can't protect them, then how can we protect the environment we all depend on," Knox told The Guardian. In his report, Knox explained how an unhealthy environment impacts children especially, since they are still developing and have very little control over their surroundings. Pollution and other hazards kill more than 1.5 million children under five every year. "There can be no doubt that environmental harm interferes with a host of children's rights, including their rights to life, health and development, food, housing, water and sanitation, play and recreation," he wrote. Sebastien Duyck, senior attorney at the Center for International Environmental Law, endorsed Knox's recommendation. "Seventy years after the adoption of the Universal Declaration of Human Rights, the global recognition of this right and the provision of effective remedies are now a matter of utmost urgency for frontline communities exposed to climate–induced impacts, environmental defenders, and vulnerable groups exposed to toxic and hazardous substances," he said in a press release. This report comes three months from the end of Knox's tenure in the position; it is not known who will replace him, though some have suggested actor and climate activist Leonardo DiCaprio, The Guardian reported. As part of his report, Knox outlined 16 "Framework Principles on Human Rights and the Environment" that lay out states' duties under human rights law as they pertain to a healthy environment. They include responsibilities relevant to nature defenders, such as No. 4, "States should provide a safe and enabling environment in which individuals, groups and organs of society that work on human rights or environmental issues can operate free from threats, harassment, intimidation and violence," and No. 9, "States should provide for and facilitate public participation in decision-making related to the environment and take the views of the public into account in the decision-making process." No. 15 urges countries to "comply with their obligations to indigenous peoples," who are often on the frontline of environmental struggles. Nearly 40 percent of the environmental defenders murdered in 2016 were indigenous, Global Witness reported. Some principles hold up a citizen's rights to know the truth about their environment: No. 6 calls for "education and public awareness on environmental matters" and No. 7 for "public access to environmental information." The Trump administration, with its disregard for the concerns and well-being of the Dakota Access Pipeline protesters and its censoring of climate-change information on government websites, would not fair well judged by such a framework if it were adopted. Humanity's Meat and Dairy Intake Must Be Cut in Half by 2050 to Avoid Dangerous Climate Change. In a recent press release on its website, Greenpeace called for a reduction in meat, dairy, and egg consumption. 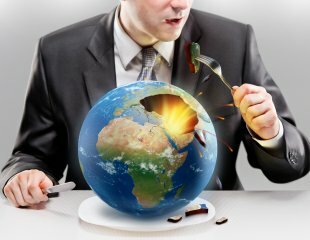 A new report by the organization states that "global meat and dairy production and consumption must be cut in half by 2050 to avoid dangerous climate change." The report also confirms what many health professionals have said for years: Eating meat and dairy raises various health risks, including risk of cancer, heart disease, obesity, and diabetes. Indeed, calling for such a reduction is vital to the fight against global warming, as animal agriculture is the number-one driver of climate change. Why are meat, dairy and eggs so harmful to the environment? 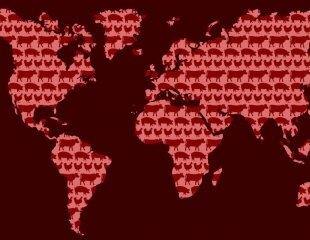 Every year we raise and kill at least 56 billion land animals for food worldwide. We feed enormous amounts of corn, soy, and wheat to each of them. Much of this animal feed is grown on deforested land whose precious rainforests and wildlife have been wiped out. These animals excrete untold amounts of feces, which pollute local waterways and accelerate climate change by emitting methane into the atmosphere. They must be transported to slaughter and their meat packaged and shipped. The process not only kills billions of animals and inflicts unspeakable cruelty but literally kills our planet. The Environmental Protection Agency reports that the livestock sector is one of the largest sources of carbon dioxide pollution and the single largest source of methane and nitrous oxide. And according to the United Nations Food and Agriculture Organization, carbon dioxide emissions from raising farmed animals make up about 15 percent of global human-induced emissions. Raising animals for food is also culpable for more than 90 percent of Amazon rainforest destruction and uses more than one-third of the earth’s landmass. More than 80,000 acres of tropical rainforest—and 135 animal, plant, and insect species—are lost to animal agriculture each day. 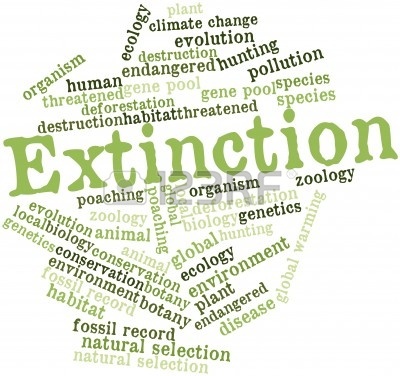 Animal agriculture also takes a devastating toll on wildlife through habitat loss and hunting. Because it uses such a massive amount of land, wild animals are pushed out of their natural environments or violently killed because they are viewed as a predatory threat to the meat and dairy industries. The good news? By going vegan you not only help protect animals but cut your carbon footprint in half. Climate change is real and animal agriculture is undoubtedly a leading contributor. If you’re serious about the environment, it’s time to take action. Don’t just say you care about the planet, prove it by leaving all animal products off your plate. How Valuable Are Green Spaces to Our Cities? The preservation of the environment is a growing concern for people all over the world, with issues surrounding the loss of urban green spaces, rising pollution and the ongoing wellbeing of citizens now at the forefront of a global debate. "The loss of urban green space in compact city environments during the densification of cities is now a major challenge," said researchers of a study by the Swedish University of Agricultural Sciences. "The loss of urban green space is rarely matched by the addition of more green space, potentially damaging the social value of these areas for decades to come." Yet, from New York to Singapore, the world's great cities are now placing heightened importance on new and existing green spaces with sustainable urban planning, with the hope of protecting their futures. The first municipal parks were established in Europe in the late 1840s. Ever since, there has been an emphasis on preserving these important communal areas that, in most cases, are open to the public free of charge. For example, New York’s Central Park was established in 1857, and it has become an iconic landmark and tourist destination that attracts over 40 million visitors each year. How does green space benefit us? The benefits of green urban spaces are far-reaching, and they offer excellent opportunities for social and recreational activities, helping us embrace mindfulness while benefiting the health of entire communities. "While details of urban green space design and management have to be sensitive to local geographical and cultural conditions, the need for green space and its value for health and well‐being is universal," the World Health Organization concluded in 2016. The governments of other, younger cities, such as sprawling Beijing and Tokyo, are now retroactively placing more emphasis on their urban planning and development—promoting proper use of precious urban green spaces, like those outlined by WHO, to benefit their citizens. 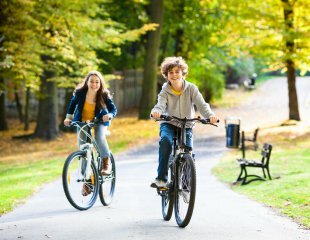 What is our green space worth? Of course, with parks and green spaces situated in densely populated cities, there will be other parties, such as commercial developers, who might want to build over this public space at the first opportunity. To work out the hypothetical land value of some of the most iconic urban parks in the most desirable cities around the world. By taking the average square meter cost of an apartment in a city and multiplying it by the size of any green space in that same city, we can work out a suggested minimum value of these parks from around the world. At $12204.95 per square meter and 4,046,856 square miles in size, San Francisco's Golden Gate Park would fetch $49.4 billion if the land were sold off. On the East Coast, if authorities in New York sold Central Park to developers, they would recoup at least $48.7 billion. While these locations come out on top, they wouldn't be the most expensive place to buy land. If Hong Kong's Kowloon Park were 30 times larger, a similar size as Golden Gate Park, that land would be worth over $97 billion. Moreover, once you consider that most of the world’s most densely populated cities like New York are full of high-rise skyscrapers made up of many floors, the potential sale value of a 10-story apartment block would be much higher than what’s outlined in the infographic below. That pollution is bad for our health will come as a surprise to no one. That pollution kills at least 9 million people every year might. This is 16 percent of all deaths worldwide: three times more than AIDS, tuberculosis and malaria combined, and 15 times more than all wars and other forms of violence. Air pollution alone is responsible for 6.5 million of these 9 million deaths. Nearly 92 percent of pollution-related deaths occur in low- and middle-income countries. All this is according to the Lancet Commission on Pollution and Health, a recent report by dozens of public health and medical experts from around the world. This important report is sounding the alarm about an often neglected and ignored "silent emergency," or as author Rob Nixon calls it, "slow violence." In one media article about the report, the Lancet's editor-in-chief and executive editor points to the structural economic forces of industrialization, urbanization and globalization as "drivers of pollution." Unfortunately, the report itself doesn't elaborate upon this crucial observation about root causes. In fact, when it moves from documentation of the pollution-health crisis to social-economic analysis, some of the report's conclusions go seriously awry, espousing debunked "ecological modernization theory" and reinforcing a tired Eurocentric framing that paints the industrialized West in familiar "enlightened" colors, while the "developing" countries are portrayed as "backward." One of the commission's co-chairs and lead authors, Dr. Philip Landrigan, points out that since the U.S. Clean Air Act was introduced in 1970, levels of six major pollutants in the U.S. have fallen by 70 percent, even as GDP has risen by 250 percent. According to fellow author Richard Fuller, this sort of trend proves that countries can have "consistent economic growth with low pollution." Coupled with the fact that about 92 percent of pollution-related deaths occur in developing countries, this would appear to validate one of the core doctrines of ecological modernization theory: decoupling, which posits that while pollution necessarily increases during the early stages of economic development, it ultimately plateaus once a certain level of wealth is achieved, whereupon it falls even as growth continues ever upward. It is understandable why the commission might want to package its message in this way: it makes an economic case for addressing pollution that is palatable to policymakers increasingly ensconced within an economistic worldview, one that is increasingly blind to non-economic values (including, apparently, the value of life itself—one would have hoped 9 million deaths would be reason enough to take action against pollution). The economic costs of pollution, along with the apparent happy coexistence of economic growth and pollution reduction, are marshaled to challenge "the argument that pollution control kills jobs and stifles the economy." This favorite bugbear of industry and big business is certainly spurious—forget about pollution control killing jobs; the absence of such control is killing millions of people every year. But, as I showed in a previous article, much of the rich countries' pollution has been outsourced and offshored during the corporate globalization era. It is disingenuous at best to cite instances of local pollution reduction alongside increased economic growth in the rich world as evidence of decoupling when those reductions were made possible only because of much larger pollution increases elsewhere. A global perspective—where true costs cannot be fobbed off on the poor and colonized—is necessary for gaining a meaningful and accurate picture of the relationship between wealth, growth, development and environmental integrity and sustainability. Panning out to this broader global perspective shows that, in fact, GDP growth and pollution continue to be closely coupled. And because a large percentage of the pollution in poorer countries is a consequence of corporate globalization, so is a large percentage of pollution-caused deaths. China's export-oriented industrial spasm, powered largely by burning coal, has caused notoriously lethal air pollution, so much so that, according to one study, it contributes to the deaths of 1.6 million people per year (4,400 per day) or 17 percent of all deaths in the country. Another study puts the total at two-thirds of all deaths, and concluded that the severe air pollution has shortened life expectancy in China by more than two years on average, and by as much as 5.5 years in the north of the country. Interestingly, some studies have actually calculated the number of globally dispersed premature deaths from transported air pollution and international trade. One such study found that deadly PM2.5 pollution (particulate matter of 2.5 micrometers or smaller) produced in China in 2007 was linked to more than 64,800 premature deaths in regions other than China, including more than 3,100 premature deaths in western Europe and the U.S. At the same time, despite manufacturing- and pollution-offshoring, about 19,000 premature deaths occur in the U.S. from domestically emitted pollution for the production of exports—3,000 of which are linked to items exported to China. But this is far less than what the Chinese are suffering because of consumption in the West. According to the study, "consumption in western Europe and the USA is linked to more than 108,600 premature deaths in China." (Worldwide, pollution emitted for the production of goods and services consumed in the US alone caused 102,000 premature deaths; European consumption caused even more: 173,000 premature deaths.) Note that the above fails to take into account the costs of various other air pollution-related chronic illnesses. And air pollution isn't the only harmful human cost of China's coal-driven industrial growth and export-orientation. According to Chinese government statistics, some 6,027 Chinese coal miners died in the course of work in 2004, though analysts point out that official estimates are usually highly conservative, and "the real number is probably higher." Since 2004, coal extraction has grown significantly in China. What about the transport of incomprehensible quantities of materials back and forth across the planet? Coal to China, commodities from China, waste back to China (the undisputed locus of global waste trade)—nearly all of it is done via oceanic shipping, which carries heavy ecological costs. The statistics on the scale and impact of the global shipping industry are arresting: A 2014 study found that ship traffic on the world's oceans has increased 300 percent over the past 20 years, with most of this increase occurring in the last 10 years. According to one analysis, emissions from international shipping for 2012 were estimated to be 796 million tons of CO2 per year (or 90,868 tons per hour), more than the yearly emissions of the U.K., Canada or Brazil. (An earlier study put the amount of annual emissions from the world's merchant fleet at 1.12 billion tons of CO2.) Whatever the actual figure, shipping accounts for at least 3 to nearly 4.5 percent of global CO2 emissions. Much worse, shipping contributes 18-30 percent of the world's total NOx and 9 percent of its sulfur oxide (SOx) pollution. A single giant container ship can emit the same amount as 50 million cars: "Just 15 of the world’s biggest ships may now emit as much pollution as all the world’s 760m cars." By 2015, greenhouse gas emissions from shipping were 70 percent higher than in 1990, and, left unchecked, were to grow by up to 250 percent by 2050. This would make shipping responsible for 17 percent of global emissions. According to the University College London’s Energy Institute—whose astonishing may be one of the best visualizations of globalization available—China is the center of the shipping world; Shanghai alone moved 33 million units in 2012." And this is only maritime shipping. Air freight is even more pollution-intensive: though much less merchandise and material are moved by air, some estimates are that the relatively minor 1 percent of the world's food traded by air may contribute upwards of 11 percent of CO2 emissions. In sum, the toll of the global shipping industry makes the "death footprint" of globalization's air pollution even larger. A 2007 study conservatively estimated that just the PM (particulate matter) emissions of global shipping—estimated at 1.6 million metric tons—kill 60,000 people per year, which the authors expected to increase 40 percent by 2012. To point out the harms of global pollution outsourcing is emphatically not to argue that U.S. corporations, for example, should simply return their outsourced production and pollution to the territorial U.S. This was the erstwhile Trumpian right-populist recipe. Under this ideology, the way to facilitate "insourcing" is not to insist on higher labor and environmental standards abroad, but to systematically dismantle the framework of laws in the U.S. (however weak many of them already are thanks to corporate-captured government agencies); that is, to bring the race to the bottom home. Whether generous tax cuts and other hand-outs will entice the outsourcers back remains to be seen: It's becoming evident that the Trump/Koch brothers enterprise is about both eviscerating domestic environmental and labor laws, and accelerating global transnational corporate pillage—the worst of all worlds. An anti-corporate, degrowth, eco-localization stance is the unequivocal opposite. Firstly, it rejects the broader ends and means of the entire consumerist, throw-away project. Rather than merely bringing the disposable extractive economy back home, localization is about reconnecting cause and effect and overthrowing irresponsible and unethical environmental load displacement on the global poor. 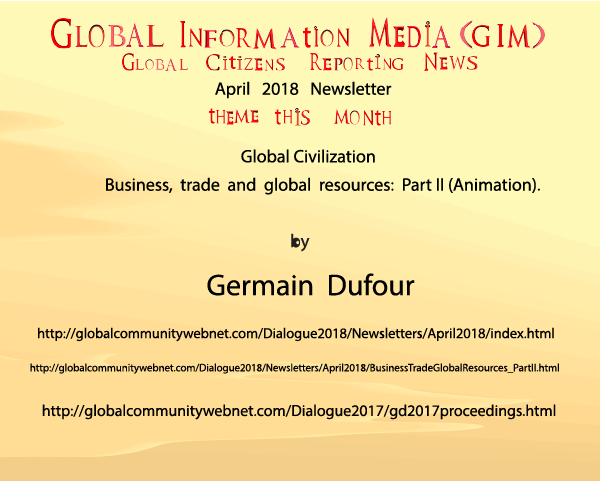 Localization is about re-orienting the entire economy towards sufficiency and simplicity of consumption, toward needs-based, ecologically-sustainable and regenerative production, and towards fair, dignified and democratic work and production. 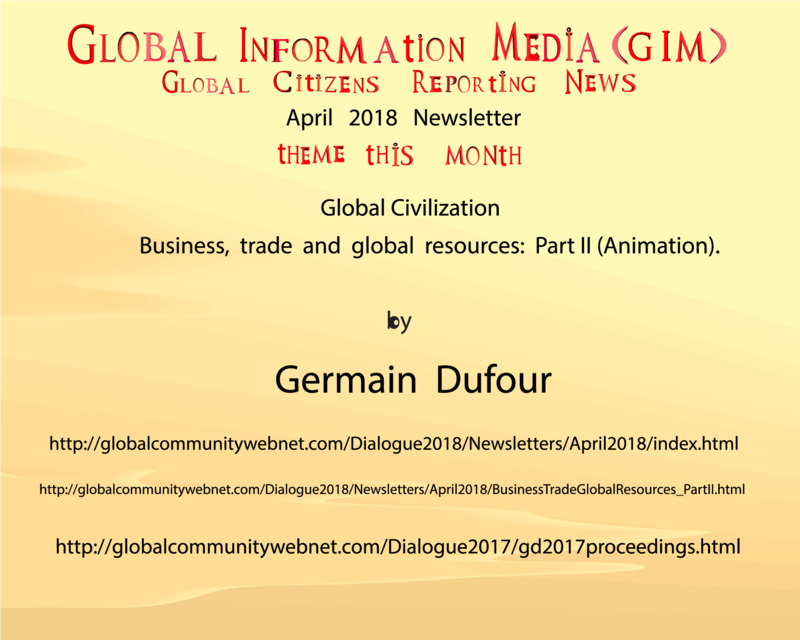 By definition, localization connotes less dependence on external resources and globalized production chains that are controlled by global corporations and are congenitally undemocratic. Putting power into workers' hands is to not have globally—outsourcing, hierarchically—owned and managed corporations, tout court.